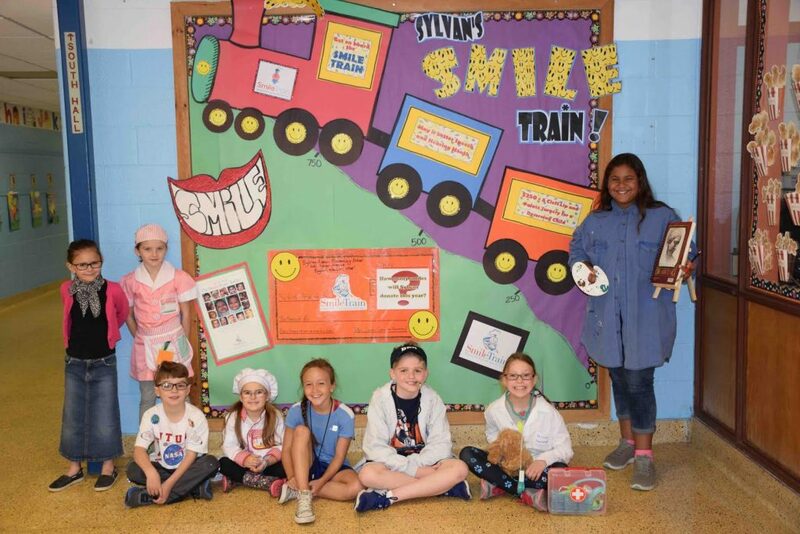 Students at Sylvan Avenue Elementary School in the Bayport-Blue Point School District recently celebrated “Things That Make Us Smile Week” to recognize Better Speech and Hearing month as an opportunity to raise awareness about communication disorders. To raise school spirit and promote fundraising, the week’s themes consisted of Pajama Day, T-Shirt Day, How Many Smiles Can You Wear Day, Career Day and Crazy Hair Day. The school is proud to have supported the efforts of the Smile Train and Better Speech and Hearing Month for more than 10 years. Due to their successful fundraising this year, Sylvan Avenue raised a grand total of $8,583.48. With these funds collected, approximately 250 children in need will be able to receive a free cleft palette surgery. The Smile Train Organization assists millions of children with untreated clefts by providing training, funding and resources to empower local doctors in more than 85 developing countries to provide 100 percent-free cleft repair surgery and comprehensive cleft care in their own communities.